The Guerrilla Box is Guerrilla Painter's most popular pochade, crafted of strong, rugged, oiled basswood laminate with stainless steel screws and aluminum hardware. Offering more than 80% of the storage capacity of a traditional French easel, it's ideal for most plein air work. 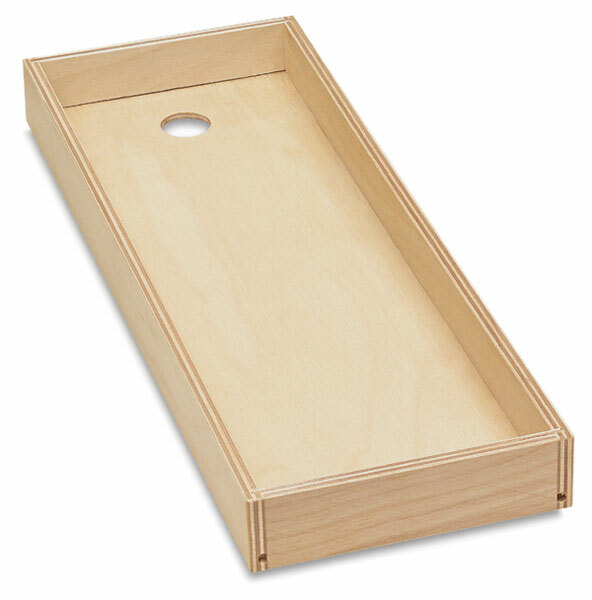 This popular, high-quality plywood brush tray fits easily in your Cigar Box while leaving room for up to 10, 37 ml paint tubes or other supplies beneath it. Brush Tray, 4-1/2" × 12"
® Guerrilla Painter is a registered trademark.